Mix the potato buds with the boiling water. Stir well. 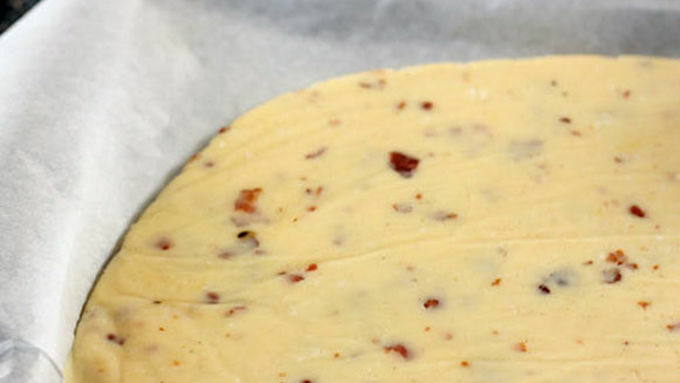 Mix in the cheese and bacon. Spread the mixture 1/2 inch thick on to a baking sheet lined with parchment paper. Put it in the refrigerator for 3-4 hours until firm. 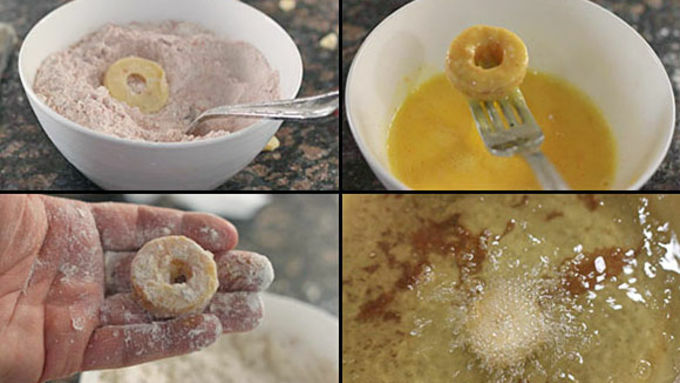 Using one large and one small cookie cutter or other round cutter, cut the potato mixture into donut shapes. Mix the flour into two separate bowls and season. Crack the eggs into a bowl and whisk. Dredge the potato rounds in the first bowl of flour, shake off the excess flour and dip into the egg mix, then coat in the other flour bowl. Fry at 350°F for about 2 minutes until nicely browned. Repeat with all the potato rounds until finished. 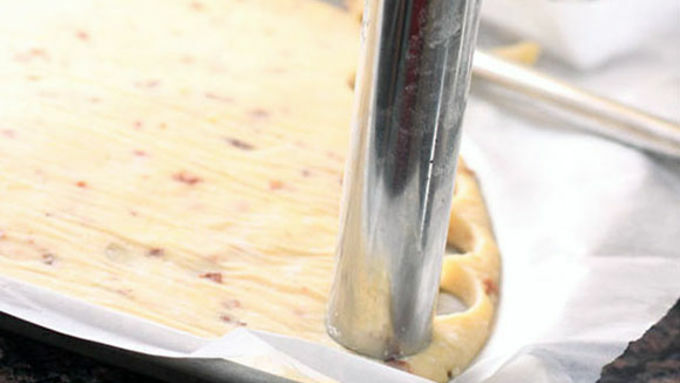 Allow to dry briefly on paper towel, then serve immediately. They may be hot, so be careful! 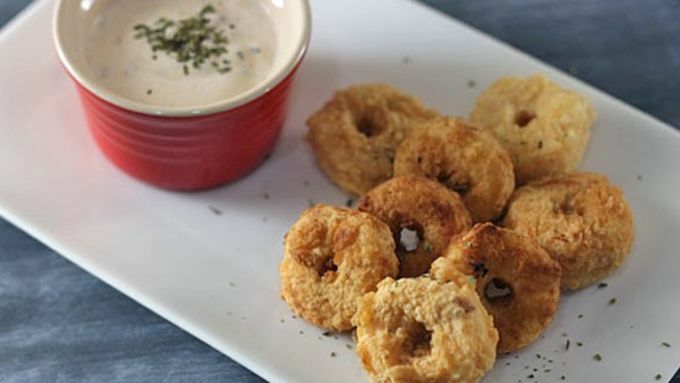 I recently caught these fried potato rings online and immediately craved them. Like everything we do here on Tablespoon though, I had to crank it up to a whole new level! I find that the best way to turn things up is add bacon. Taking inspiration from a loaded baked potato, I mixed bacon and cheese right into these rings. 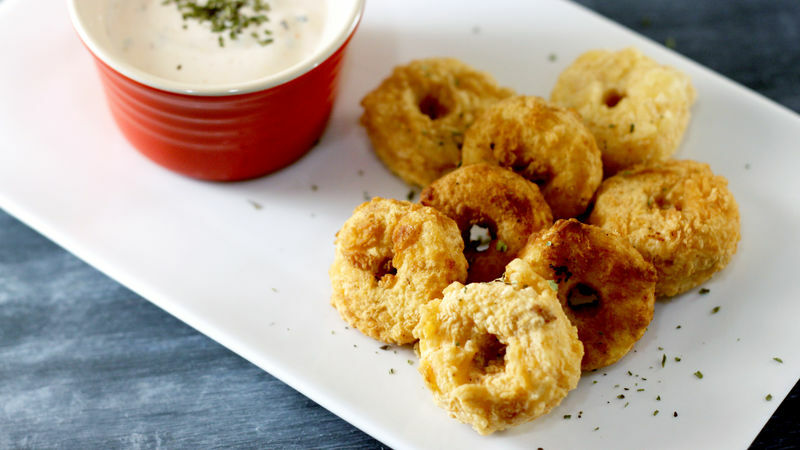 Served with a yogurt ranch dip, these Loaded Potato Rings would be a hit at any party! The secret to make them easy and awesome? Use potato buds to make a nice thick and sturdy potato mixture. 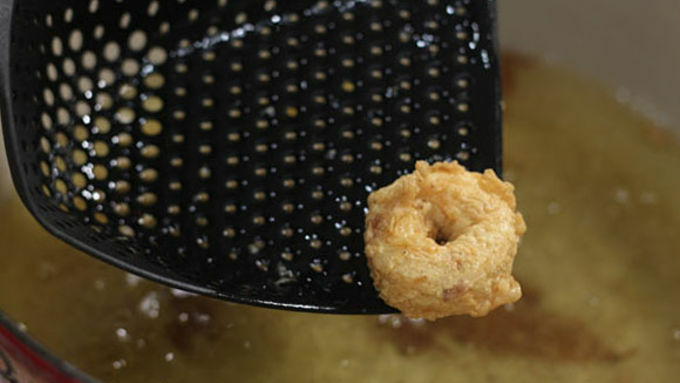 Mix with bacon and cheese, fry 'em up, and devour. They kind of looked like mini donuts and they taste like awesome! 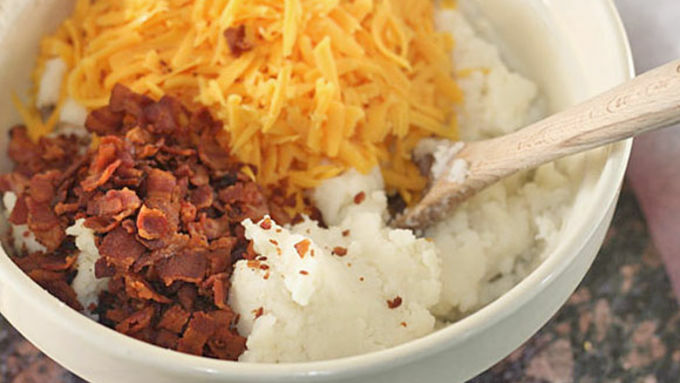 Creamy potato, crisp on the outside, and a bacon-y surprise!